Aseptic Technologies improves the quality of aseptic operations by providing innovative and user-oriented state-of-the-art equipment, devices and services to the pharmaceutical industry. Since the very beginning of its history, Aseptic Technologies worked closely with Regulatory Agencies and initiated collaborations with different partners, all experts and leaders in their specific fields. Since 2011, Aseptic Technologies is part of the Group SKAN, a company showing 50 years of experience in the area of cleanroom equipment and construction of Isolators for the pharmaceutical industry. The constant improvement of cGMP guidelines, in order to avoid any possible contamination of the aseptic process, does not necessarily imply an escalation in the complexity of the equipment for aseptic production and packaging. To develop and market equipment that guarantees optimal aseptic insurance and complies with regulatory requirements, while simplifying the validation and operation processes. To that aim, Aseptic Technologieshas elected to reinvestigate the asepsis from basic scientific concepts and to offer state-of-the-art filling technologies, equipment and devices to help the pharmaceutical industry meeting the highest requirements and standards. Creation of Aseptic Technologies as a spin-out of GSK Biologicals S.A.
First introduction of the concept of the Closed Vial to the American FDA and to the EMA (Europe). First prototype of a filling machine based on the Closed Vial concept. First successful medial fill using the prototype. Presentation of validation data to the FDA. Inauguration of our aseptic filling facility equipped with a Closed Vial Filling Line. Our Crystal® filling facility is approved as GMP manufacturing site by EMA. DMF filed at CBER and CDER. Launch of development programs for laboratory scale equipment. Our GMP approved filling suite wins the ISPE Facility Of the Year Award - Equipment Innovation. In December, the first Crystal® M1 Filling Station is delivered to Lonza, Walkersville (MD, USA). Delivery of the first robotic to the Netherlands Vaccine Institute (NVI). Decision to extend the vial range up to 50ml. SKAN AG becomes the main shareholder of Aseptic Technologies. The GSK Synflorix® pediatric vaccine is approved in the AT-Closed Vial® in Europe. First application in Hospital at Hopitaux Universitaires de Genève (HUG), CH. Training course to American FDA inspectors about the Closed Vial Technology. First prototype of the Crystal® PX Production Line. The second generation of the Crystal® M1 Filling Station is launched. Delivery of the 50th Crystal® M1 Filling Station. 80% of all GSK Vaccines are getting through our aseptic connector. First order for the new Crystal® L1 Robot Line. First equipment installed in Japan. Delivery of the 100th Crystal®, at the University of Alberta in Canada. Crystal® L1 Robot Line ordered for US, Spain, Japan and South Korea. Aseptic Technologies develops, patents, manufactures and markets equipment that guarantee optimal aseptic assurance and complies with last regulatory requirements, while simplifying the validation and operation processes in the safest way. At Aseptic Technologies we are proud of the AT-Closed Vial® Technology: filling pre-sterilized vials to significantly reduce the risk of batch contamination while simplifying the fill and finish of your drug product. 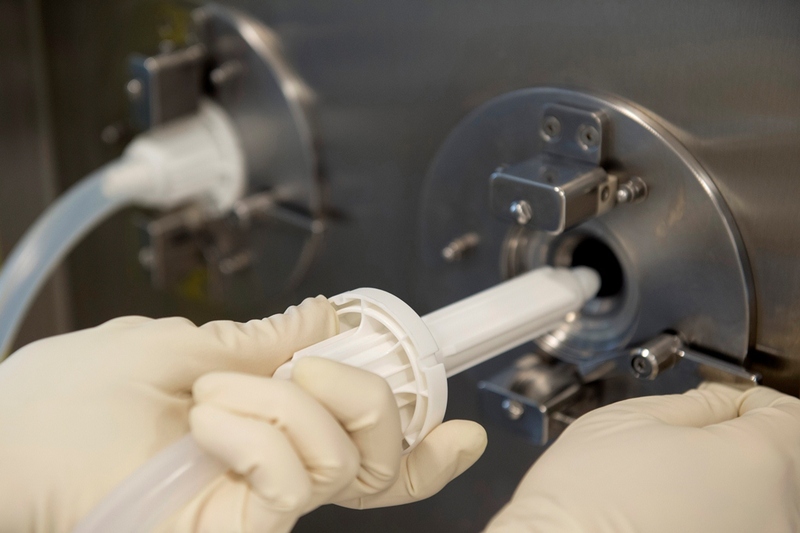 Besides it, we manufacture other aseptic filling-related products, such as filling kits (AT-Filling Kit™) and aseptic connecting systems (AT-Connector™ System) used to transfer sterile liquids across separation walls. Since 2015 we collaborate with SKAN in development new platforms combining our respective technologies with the aim of offering integrated solutions, fulfilling the future expectations of the Industry. Aseptic Technologies is ISO 9001 certified. 1968 founded SKAN AG belongs to those pioneer companies in the special area of cleanroom equipment and construction of Isolators for the pharmaceutical chemical industry. 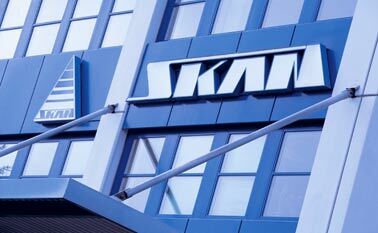 Innovative products, client specific solutions as well as results capable products and service organization made SKAN AG a market leader and an important partner of industry and research laboratories. a company headquarted in Indiana, USA, operating a facility in France (formerly owned by Rexam Healthcare Containers and Closures) specialized in Injection Blow Molding. a company 4 plants in Europe and the USA (formerly Rexam Healthcare Devices) specialized in injection molding. a Belgian company specialized in plastic molding. a Belgian company dedicated to new laser applications. Lasea develops, creates and produces reliable, performing, innovative solutions for industrial purposes. a Belgian company specialized in secondary packaging activities for the pharmaceutical industry. a Belgian company specialized in high-end stainless steel machining. Core technology for AT-Closed Vial® Technology licensed from Medical Instill Technology Inc. Since 2011, Aseptic Technologies is part of the Group SKAN, a company founded in 1968, one of the pioneer companies in the field of cleanroom equipment and isolator design. Innovative products, customer-specific solutions and an efficient service organization have led SKAN to become a global market leader.